“Fun to drive” is at the core of Honda’s DNA, but sustainability is in our nature. 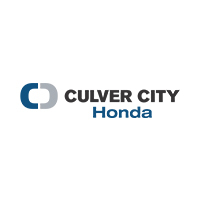 That’s why we’re committed to selling environmentally responsible vehicles like the all-new Honda Clarity at Culver City Honda. With a compact, hydrogen-powered fuel cell and stunning aerodynamic design, the five-passenger Clarity Fuel Cell is the alternative fuel vehicle you’ve been waiting for. The Clarity is available exclusively to California residents. $15,000 Hydrogen Fuel Card available.